Over the last few decades, the environmental movement has gone mainstream. More and more people are interested in leading greener and more sustainable lifestyles. They may be primarily concerned with mitigating the effects of global warming, or they may worry about their local environment. 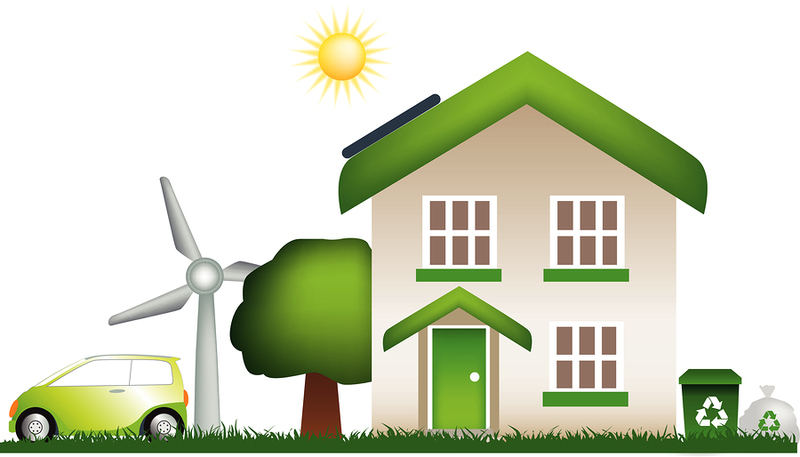 No matter what the source of their concern is, however, many people are looking into living in eco friendly homes. These homes are constructed along sustainable lines so that their environmental impact is kept to a minimum. In some cases, this may involve considering the impact of every step of the process, from the initial design stage through the construction. However, even in an existing home that was built years ago, you can still take steps to ensure that your home is as green as possible. For many homes, the most significant environmental impact comes from the amount of energy that is used to power the home and the devices that it contains. If this energy is produced through the use of conventional fossil fuels, such as coal or natural gas, then the impact will be severe over the course of a year. There are two main approaches in terms of mitigating this impact. First of all, you can find ways to reduce the amount of energy that you need during a year. Second, you can use energy that is produced in a less harmful way by focusing on renewable energy sources. Improving the energy efficiency of your home is usually a lot easier than you might think. For example, by replacing an older appliance with a newer model, you can often dramatically improve your efficiency just with that purchase. The energy efficiency of many appliances is always improving, so upgrading to a newer model will cut your energy usage. However, you should try to make sure that you buy the most energy-efficient model on the market. Be sure to look for the “Energy Star” label and restrict your purchases to these models. This label means that an appliance has been tested and found to meet the minimum requirements set by the federal government for efficiency. Heating and cooling your home requires a lot of energy, so it is important to take steps to insulate your home and take advantage of opportunities for passive heating and cooling. For example, planting shade trees in strategic locations can often dramatically reduce the temperature in your home. Adding more insulation to your walls and attic prevents warm air from escaping in the winter. To further reduce your impact on the planet, look into switching to renewable energy. Your local energy company may give you the option of buying electricity that is generated by wind turbines or a hydroelectric dam. These renewable sources of power do not produce any carbon emissions. If this choice is not available, it may be time to think about installing solar panels on your roof so that you can generate your own electricity. Creating an eco friendly homes does not have to be as difficult as you might think. Keep these tips in mind so that you can reduce your environmental footprint as much as possible.